First, make sure you have all the necessary. Check the parts list. 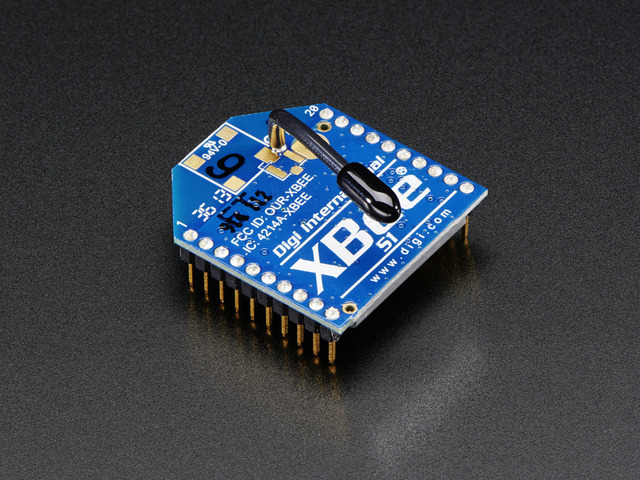 You may also want an XBee module, as it makes it a little easier to position the 10-pin sockets. To begin, place the PCB in a vise or third-hand so that it will be easy to work on. Heat up the soldering iron to 700degF and get all the parts and tools ready for use. First thing we will place is R3, a 10K resistor (brown, black, orange gold). This resistor is used to keep the XBee out of reset mode, so that by default it is on. Place the resistor in the location marked R3. Resistors do not have polaritywhich means you can put it in 'either way' and it will work just fine. Bend the wire legs out so that the resistor sits flat against the PCB. Turn the PCB over. Using your soldering iron tip, press and heat both the pad (the silver ring around the hole) and lead (wire) at the same time for 2 or 3 seconds. Then poke the end of the solder in to create a nice solder joint. Do this for both leads. Using your diagonal cutters, cut off the long leads just above the solder joint. Next are the other 2 resistors, R1 and R2. These resistor have a different value, 1K. The stripes are Brown Black RedGold. These resistors set the brightness of the two indicator LEDs. Solder these two resistors using the same techniques you learned from the first one. Then, use the clippers to cut the long leads of the resistors off. Next are the two LEDs: one LED indicates that the XBee is up & running ("Asc"), the other indcates when data is received by the unit ("RSSI") and is very useful for debugging. In these examples, the green LED will be the "Associate Indicator" indicator and the red LED will be the "Received Signal Strength Indicator." LEDs are polarized, unlike resistors. This means they must be soldered in properly in order to function.The longer lead of the LED is positive and must go in the hole marked with a +. See the images for a detailed view of how the LEDs are placed. If they are placed wrong, the LEDs will simply not light up and it could be very confusing. Once you have doubled checked that the LEDs are in properly, flip the board over and solder in both LEDs. Then clip the leads off. The next component we'll place is the large electrolytic capacitor. This capacitor helps keep the 3.3V power supply stable even when there are bursts of usage - such as a data transmit! Electrolytic capacitors are polarized, just like LEDs. The longer lead indicates the positive leg and should go into the pad marked + as shown. If you're using an XBee Pro and you have a 100uF capacitor you have two options, one is to solder the capacitor close against the PCB so that you can bend them a little out of the way for the xbee pro which is a little long. The other option is to bend them completely at a right angle so that they are laying 'facedown' on the PCB. The 47uF capacitor is small enough it doesn't need to be bent down. Once the electrolytic capacitor is in place, insert the 3.3V regulator and the smaller ceramic capacitor as well. The small ceramic capacitor helps filter out high frequency noise from the power supply and the regulator turns the 5V input into a nice & steady 3.3V that the XBee requires. 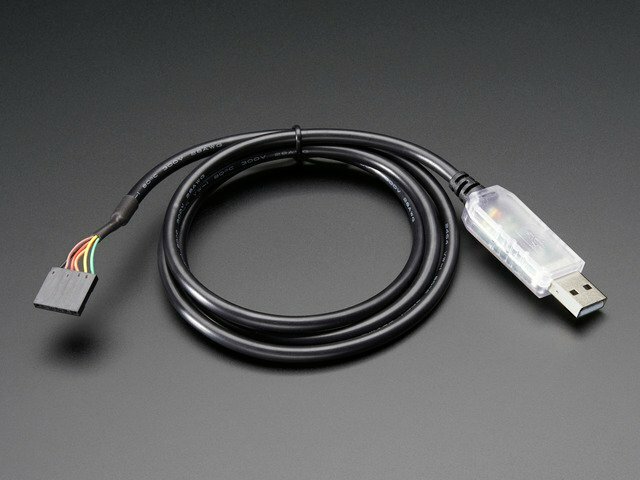 Then grab the MCP1700-33 regulator. The 3.3V regulator must be placed correctly, but is easy to do: simply match the shape on the silkscreen with the semicircle of the regulator. 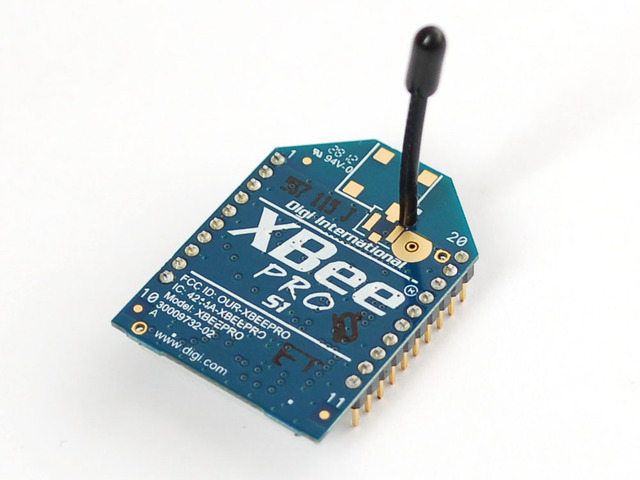 If you're using an XBee Pro you have two options, one is to solder the regulator close against the PCB so that you can bend it a little out of the way for the xbee pro which is a little long. The other option is to bend it completely at a right angle so that they are laying 'facedown' on the PCB. Now solder in the power supply components & clip the leads. Next is the buffer chip. 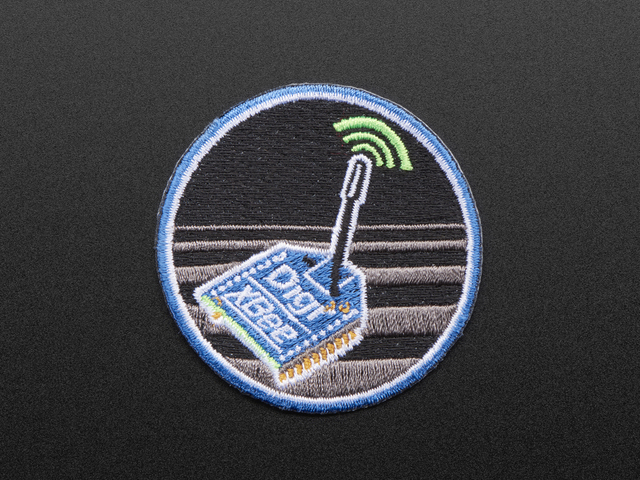 This chip converts the 2V-5V signal from the bottom strip of pins to 3.3V so that you can safely connect the XBee to 5V logic circuitry. If you're planning to use the two lines of parallel breakout pins instead of the lines at the bottom of the PCB, you may want to skip the buffer. However, most people will want it in place. The buffer chip must be placed in the right way for it to work. Look for a U-shaped cutout notch in one end of the chip. This notch should match the U-shaped notch in the silkscreen. See the picture to make sure its in right. Flip over the PCB and solder in every pin of the buffer carefully. The pins will not have to be clipped once they are soldered in. Next are the two 10-pin 2mm headers. 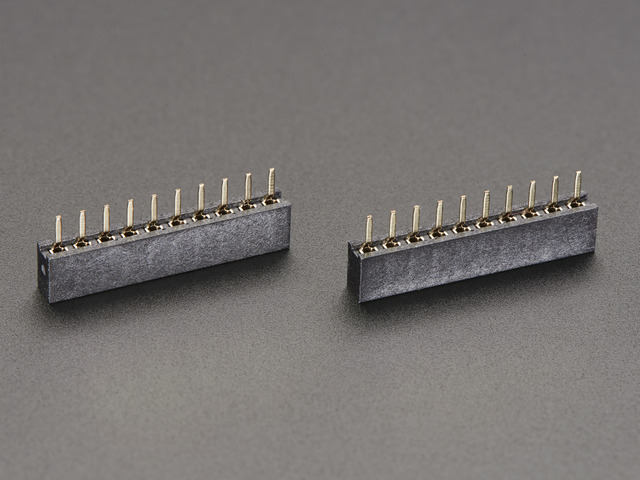 These header sockets hold the XBee radio module securely so that it can be easily replaced or reused. Put the sockets in the two strips of holes. If you have a spare XBee module, you can insert the module into the sockets to keep the spacing right. Otherwise, keep the headers in place with a piece of tape. Flip over the board and hold the XBee/headers in place with one finger to keep them in place. Then 'tack' the corners of the header with a small bit of solder, just to keep them in place. Once they are tacked in place, remove the XBee module. When I say Then 'tack' the corners of the header with a small bit of solder, just to keep them in place. I mean it! Do NOT use too much solder or you may accidentally solder the XBee in place. Use only the minimum necessary! Then go back and solder in each pin of the socket header. 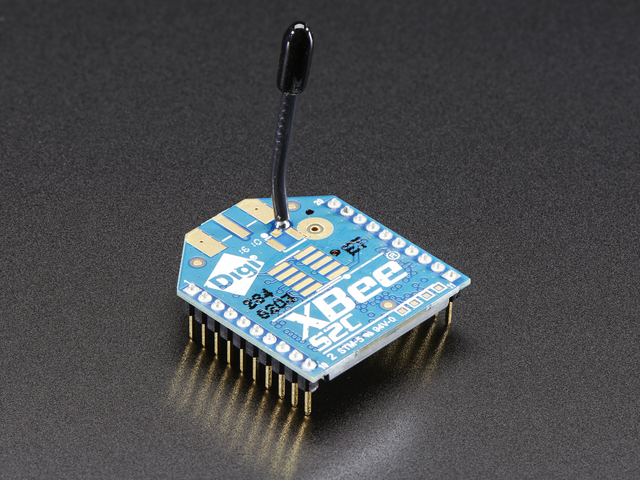 You can now replace the XBee module! The module is pretty much complete at this point. You can continue to customize the bottom header strip or go check out the user manual! You can continue by adding straight header to the breakout strip at the bottom if you'd like. Or you can solder the header flat against the back of the adapter, so that it sticks out along the edge. 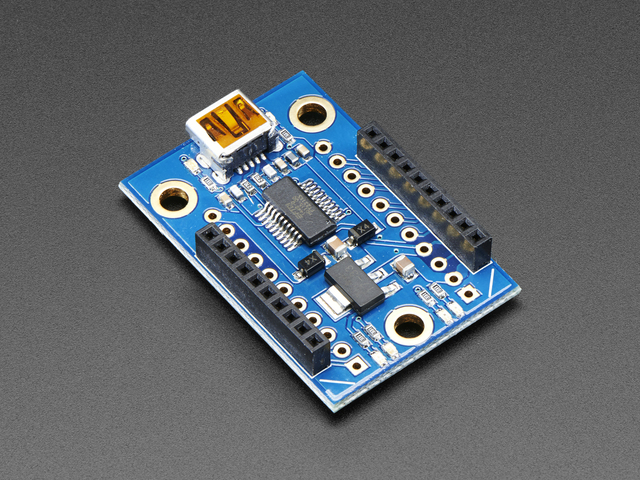 Another option is to use right-angle header (not included) and solder it in as shown (or on the reverse side). This guide was first published on Feb 16, 2015. It was last updated on Feb 16, 2015. This page (Solder it!) was last updated on Apr 24, 2019.